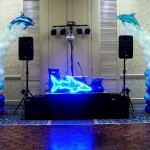 Underwater corporate party. 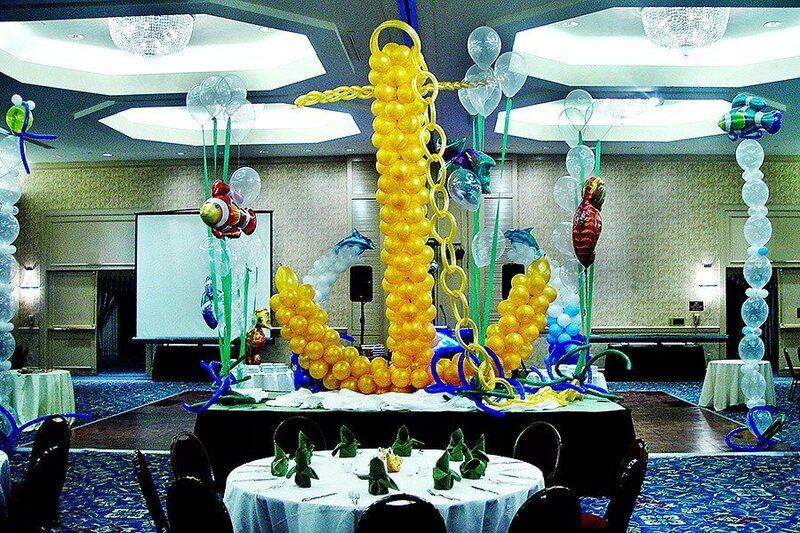 The main piece - 10' tall balloon sculpture of anchor with the chain. 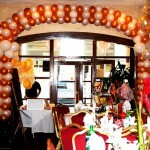 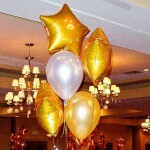 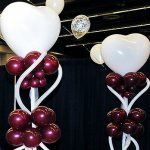 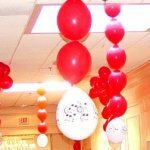 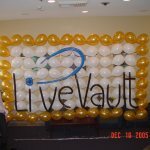 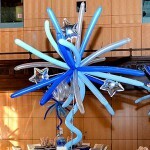 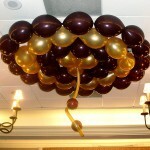 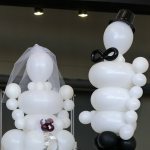 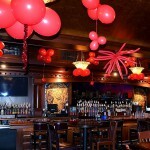 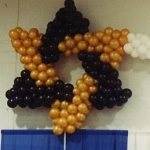 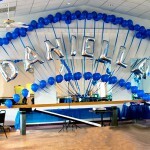 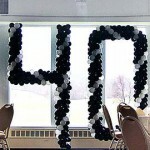 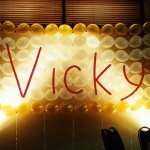 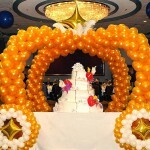 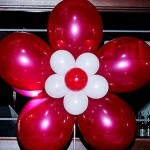 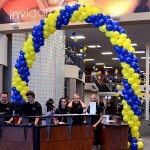 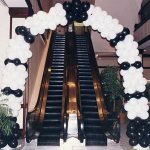 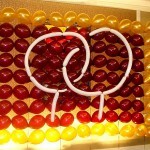 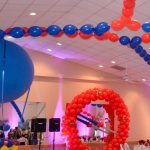 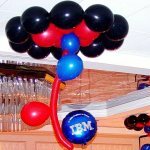 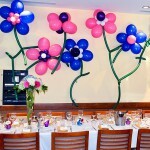 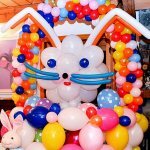 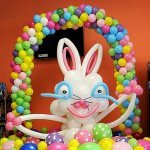 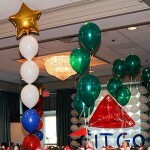 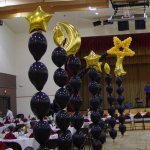 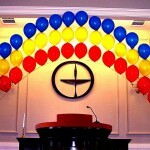 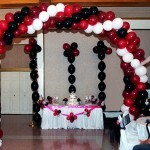 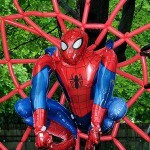 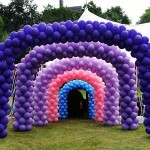 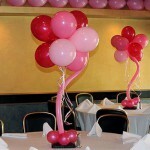 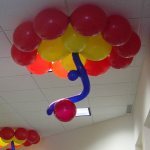 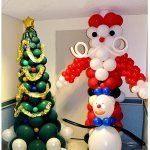 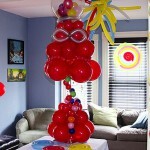 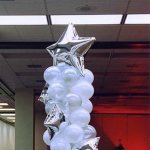 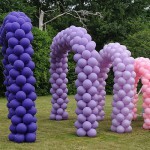 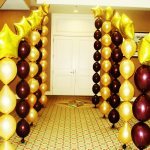 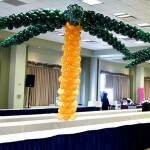 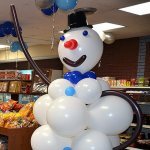 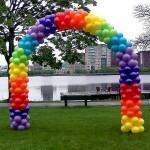 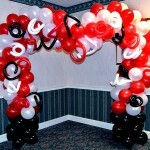 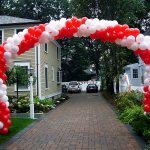 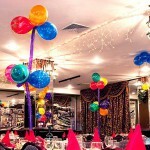 Very popular item, one of the balloon sculptures that we have done many times. 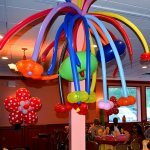 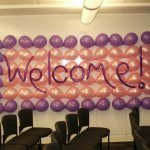 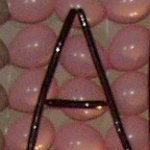 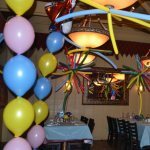 With this centerpiece as the center of the composition, a lot of other things can be added: bubbles coming up, fishes of all shapes (mylar and made from latex balloons (please see centerpieces). 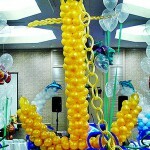 The main thing though, are the seaweed bushes. 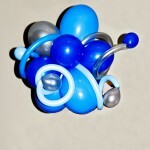 This is what makes the eye believe that this is "underwater"